Founder of the World Blockchain Foundation, who has won the 2017 “Brand Laureate World” Award.-In 2004, represented overseas Chinese youth entrepreneurs spoke with state leaders at the Great Hall of the People in Beijing. The only investor who has shared the same speech stage with Wall Street legendary investor Roger in the world. Since 2014, made the first Bitcoin-themed documentary and travelled around the world (Bitcoin World Tour). Be invited to speak at summit forums around the world and opened up the entertaining show called "Bitcoinomics"
China blockchain supervision of sandbox . Lee Willson is highly recognized as a world-class cryptographic asset and blockchain representor, also widely known as: Blockchain Ambassador. Lee Willson: Crypto bells crypto bells crypto all the way, oh what fun it is to ride on a Newton bullish way. First of all, on this Christmas Eve, I wish you all a Merry Christmas. Host: Hello everyone, I am the host of this interview, my name is Newton. 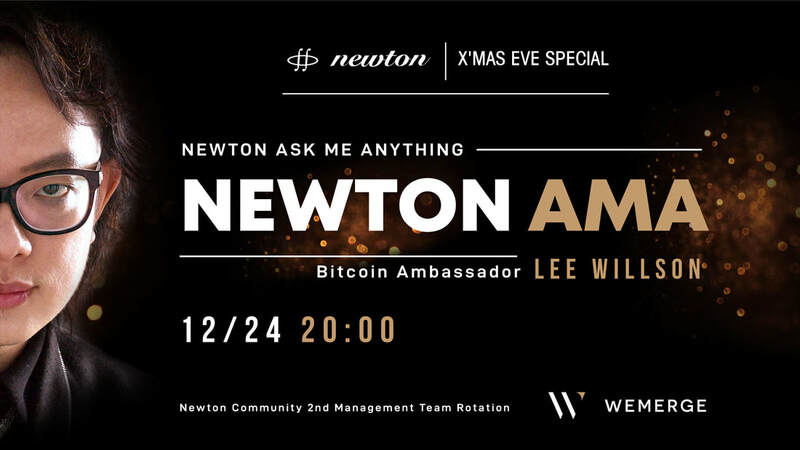 Welcome Bitcoin Ambassador Lee Willson, thank you for coming to our interview with the Newton community for a special Christmas Eve event! Thank you! Here are some questions from our Newton community. Are you ready? Host: The first question is very sharp. May I ask who entitled you the “Bitcoin Ambassador”, is it yourself? Lee Willson: The title of the Bitcoin ambassador came from many years ago, oh, I started to get with Bitcoin when its price was very low. At then, I promoted it while no one did this, so in a Korean community, people said “We will call you Bitcoin Ambassador.” Because it is hard to remember everyone’s name. Then I thought about it, the title is not bad. So for now, we can say other people gave me this title, and I am happy to accept it. But what I want to emphasize is that my title is not exclusive. I hope that everyone can have this title and promote Bitcoin together. By this way, everyone can be a Bitcoin Ambassador, and everyone is welcome to become a Bitcoin Ambassador. Yes, I don't just want everyone to be an ambassador for bitcoin, I want everyone to be an ambassador for Newton. Host: It’s awesome! The second question, the price of crypto currency falls and rises. Do you think it is because you bought crypto currency at an early stage that made your achievements now? Lee Willson: Many people think that only when the market reaches pinnacle time can make heroes. This is hard to say. The real hero does not relate to market price. Because there are too many heroes created when the market is rising, anyone can be a hero. Only when the market falls, can you look out of your vision, your pattern, use your actions to prove your strength. Therefore, only when the market situation is down can we create such an achievement. So anyone who wants to have unique, outstanding, and accomplished result, grasp any chances you can have in a bear market. When everyone is shrinking, you stand at the front, leading everyone, and moving forward, then, the achievement is yours. Host: The third question, will the low price of Bitcoin affect the price of Newton? Lee Willson: The value of Newton will be definitely related to Bitcoin at the beginning. So, when Bitcoin fell, it was actually the best time to know about Newton. That's because the cost of this Newton is low. When Newton’s ecosystem becomes mature, Newton will have its own value and will not rely on Bitcoin price. There is more room for Newton development. Therefore, the best time you enter into the market is now. Host: The fourth question, the strategy that used in bear market, how should we cope through this bear market ? As a well-known personal investor, are you feel disappointed to the market? Lee Willson: Frankly speaking, a little upset will definitely be there, but the main coldness does not come from the so-called price, but from the whole activity level and volume. For me, the difference between the bull market and the bear market is mainly the activity and volume. In the current situation, the level of quantity is slightly lower. However, in fact, the overall investment value, if it is in the crypto-currency standard, will not be affected too much. Value investment is investment, otherwise it is just opportunism gambling. Host: The fifth question, during this decline, how much is your asset shrinking? Lee Willson: It depends on the kind of assets. If we judges this based on normal currency, it will definitely have some impact, but if it is based on the future of the real belief in the blockchain, the people who sees in crypto-currency standard like me, actually the impact is not too big. There is little impact on blockchain technology. Host: The sixth question, this year, many famous bosses claimed that they will withdraw from the crypto-currency industry or do not show up at all. What do you think about this phenomenon? Host: The seventh question, I knew Bitcoin Ambassador the first time was in a speech in Macau. I also heard that the ambassador have promoted several projects, what charm in Newton attracted you to deeply involve in Newton? As an investor of Newton, how do you think about Newton’s team and Newton’s founder Xu Jizhe? Lee Willson: Some people have seen some of my public speeches. Then, what projects do you think I am promoting for, but in fact all my public speeches are only about the technology of blockchain technology and knowledge. In fact, I have never done any promotion for any project party, but Newton is my first project deeply involved in. At the end of this year of 2017, I met Xu and was impressed by him. Well, it’s not a good impression, but it’s very special, because we only have one meeting for the first time. There is no tacit understanding, and then, after listening to his sharing, since he is from this open source, his understanding of the blockchain is very accurate, and this is what I can fully resonate with. By the beginning of 2018, Newton started up and we started to contact, I found that he knows well about the spirit of the blockchain, and has a very close and deep understanding in blockchain technology, in community management, throughout development. In terms of aspects, there is a very mature complete set of thinking. He has the most comprehensively and completely understandings, he can be described as an all-round people who devote all himself to his work and his responsibility in Newton. All the members who have accompanied Newton’s development can be the witnesses. Host: The eighth question, what level of blockchain technology do you think can be developed or applied in future? Lee Willson: First of all, the most crucial point of the blockchain is to hand over to some autonomy and ownership to each individual's hands. This is the most crucial part. Therefore, any relationship with its own property rights or power, some businesses, or all aspects of life, there will be room for blockchain. So we can imagine that starting from Newton, what we are familiar with this is shopping, and then in our lives, whether it is travel or not, our communication or not, our community is also interactive, will all of the steps have access to this blockchain application. The bottom layer technology of Newton is a low-level protocol that can be used to build all of these applications. The personal property rights and rights given by the blockchain will be used in all aspects of life. The Newton protocols can support various needs and application. Host: The ninth question, Newton, how likely is it to be applied in practical life? Lee Willson: It’s an interesting question. If you are asking proportion, it can be said 100%. Why? First of all, many of the topics we are concerned about, many commercial scenarios, are paradox whether there’s eggs first or chicken first, and Newton’s has made a very good starting at this point, a lot of e-commerce merchants, even the Chongqing Grain Group, has joined at the early stage of the project. Therefore, it can be said that the probability of practical application is 100%. Newton fundamentally solved the problem of paradox that werther chickens first or eggs first question, so the probability is 100%! 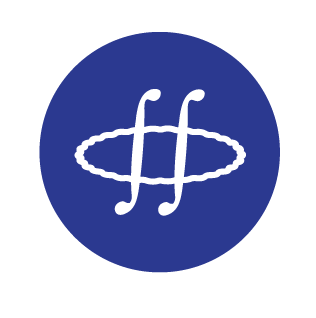 Host: The tenth question, the crpto-currency circle is in the cold winter, about the 0.01515 of global consensus, some investors have lost their faith as well, how can you guys unite the community to implement the global consensus to everyone in each community? and your promotion of Newton's results to everyone? Lee Willson: If we use the situation of excessive inflation in the market before, it is inevitable to enter this cold winter, and it is also necessary. However, everyone can know that there are really good and powerful projects through so many of these. This is the first point, so for the real strength of the project, the real impact is still not too big. The second point is that we can see that there are a lot of air projects, they are well-promoted and even they can be re- turned dozens of times of its original value, even one hundred and two hundred times. So, I just predict this based on the strength of Newton. 30 times for private placement investment, so when I predict that a private placement is 30 times, it is already very conservative, so if investors are scared, I don’t think so. It's just that some investors may have made some heavy shots before, and then there may be some cash flow demand, which is nothing more than that. But this part should not be a big problem. It is not a question of confidence in Newton, but a personal cash flow problem. So, for me to look at the overall perspective, it will not be affected by it. What about this slogan? Is it 0.000015 bitcoins? Well, it is a very practical preliminary consensus. This is a goal that can be achieved. The main thing is that it doesn't depend on me alone, or just the team of Newton, but through the whole community. Through constant communication, everyone has something to say. This is very important, then, like Some of the questions and answers of today’s events can be used to promote such a value and share it with everyone. If you can do something, many of the previous projects will be launched in 18 years in 2017. A lot of projects are used for comparison. I don't care about it, we have strength, technology, and overall comparison through it. It is very likely that everyone will even think that I am starting to promote this global consensus. This is actually very conservative, it is a bit lower. Host: The eleventh question, Newton's business model is that merchants need to buy NEW coins as a reserve commercial resource, and buyers buy NEW coins as rewards. In principle, this is a static balance with in and out. However, why does the NEW currency break the static balance and enter the appreciation channel. In short, what kind of money does the NEW token earn in the business model? Lee Willson:. When the merchants start to do business, they will prepare some New to sell his products. A consumer will get this NEW as reward. Everyone is in a balanced supply and demand relationship. But a lot of value is injected into NEW, the logistics party will also hold NEW together, and everyone's common transaction will have NEW, so it will only be in a complete business environment and ecosystem. Producing true universal value, that is, the value of NEW, unlike other tokens, just on the exchange agency can show its value, and the value of NEW is really the transaction of this business. When NEW is really used by many parties, the value of a common bond, and this value will be an infinite potential in the future, but I dare not easily estimate it. The value of New is a common token for all-round links. The actual value that is supported by all users. Host: Finally, there are rumors that you stand for tokens that is air based. Is this statement true? Lee Willson: Any company or organization, as long as it invites me to educate about the blockchain or bitcoin, I will be obliged, let alone if there is such a heavy investment. So everyone can invite from me, whether it is video or recording, you can confirm that I do not stand for air based project. Then, I also issued a personal poster statement for me at the end, which means that only these projects are related to me, and the rest are irrelevant, because before that, I also know that there are many such rumors. There are also a lot of people, or organizations, who have taken advantage of my photos. I said that I have said that I am their consultant to a certain platform or even some courses. But if I come forward to deny it, I will advertise for them. Therefore, I sent out a personal poster statement, which means that only these have a relationship with me. Others are irrelevant, so you don't have to advertise with them. But there is another concern that deserves everyone's attention. That is to say, we can't deny that this encrypted asset, including bitcoin and these encrypted currencies, has a large market value and is supported by this pyramid market. This is an undeniable fact. If they are to support the entire market, as long as any exposure and attention that can be drawn for bitcoin and blockchain, I think it is a positive thing. If there is an opportunity, this host can share my single poster statement with everyone, and then I will make a public statement at the same time as this poster statement published, that is, I will no longer accept any invitation to commercial blockchain projects, either as a consultant or as a registered participant.